Recent graduates and soon-to-be grads, congratulations from all of us here at Airport Marina Honda! It took a lot of cramming, late night studying, instant meals, and sleep deprivation, but you made it! Come celebrate with Airport Marina Honda, and get a nice bonus for all your hard work. Take advantage of our College Graduate Program in Los Angeles, CA and save $500 on any 2016 and newer Honda vehicle when you lease or finance through Honda Financial Services. You got your diploma. You got your first job. What’s next? Of course, it’s a fresh set of wheels. Visit your favorite Los Angeles area Honda dealer at Airport Marina Honda today to learn more and see our entire new vehicle lineup today! Others before you have accomplished greatness, now it’s your turn. 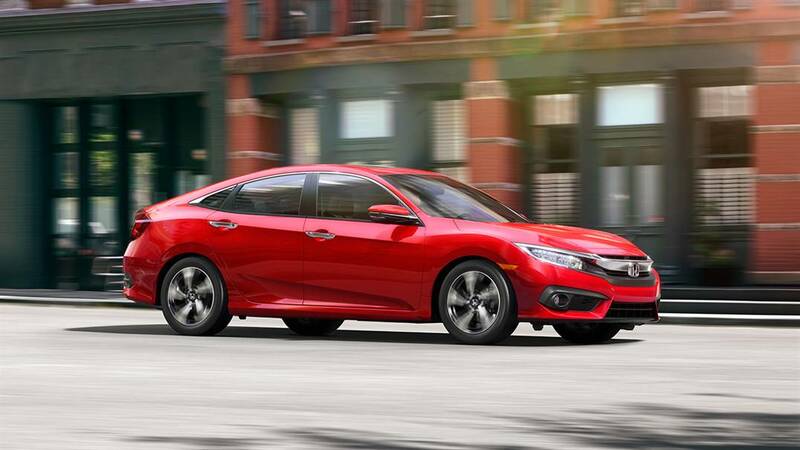 Make a stellar impression on everyone you meet in your new 2016 Honda Civic with stylish good looks, impressive performance, and exceptional fuel economy. Make your dreams come true behind the wheel of a sleek and stylish new Honda vehicle, and save big. At Airport Marina Honda, we want to help you succeed in all of your future endeavors, one step at a time. Your next step after graduation? Start your new job with a new Honda! Come check out our new vehicle inventory and meet your match today. Before you know it, you’ll be on your way in a brand new Honda vehicle, ready to take on the world! To learn more about eligibility, contact us or visit us at Airport Marina Honda. We are here to help! 0 comment(s) so far on Congratulations to Our New Graduates from Airport Marina Honda!